Being a city in Ontario, Vaughan operates a private auto insurance system. Vaughan has so many attractions and it is located just outside Ontario. Many families and professionals call Vaughan home which means that there are lots of cars in the city and auto insurers eyeing to insure them. Unfortunately, Vaughan has one of the highest auto insurance rates not only in Ontario but also in entire Canada. In Ontario, Vaughan auto insurance rate is second only to Brampton; up to 40% above the already high provincial average. The good news is that the auto insurance rate offered by different Vaughan auto insurance companies vary. This means that you can shop around and get cheaper coverage. In some cases, you might even save up to thousands of dollars on your auto insurance policy. Of course, you should never purchase an auto policy without shopping around but shopping around could be tedious and time-consuming. Call Insurdinary for Vaughan auto insurance coverage suitable for you. We will connect you to auto insurance advisors who will guide you to get suitable coverage for Vaughan residents. The auto insurance rate offered by different Vaughan auto insurance companies on the same driver and car could vary in hundreds and thousands of dollars. If saving on your auto insurance coverage is important to you, you need to shop around and compare policy options before you opt for coverage. It is recommended that you ask for quotes from at least there Vaughan auto insurance companies before you choose a policy but we can help you to get a more comprehensive quote comparison in order to choose the best coverage. We will assign an experienced insurance advisor who will provide you with expert guidance to choose the best coverage. Our independent insurance advisors work with some of the most reputable auto insurance companies in Vaughan and also compile and compare quotes from these companies in order to provide you the best coverage depending on your needs and requirements. To read more about Vaughan auto insurance, click here. The most popular vehicle insured by Vaughan married couples: 2014 Toyota Corolla. The most popular vehicle insured by Vaughan singles: 2018 Subaru Crosstrek. 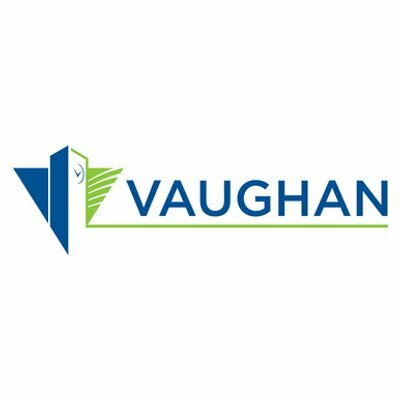 Percentage of Vaughan drivers who have not had an accident in the past 10 years: 91%. To learn more about Vaughan auto insurance, click here. If you are involved in a traffic accident or collision in Vaughan or any city in the York region, the first thing you need to do is to move your vehicle to the side of the road if it is safe. Ensure you do not leave the scene because doing so might attract a fine of $2,000. If the collision involves an uncooperative driver, a cyclist or pedestrian, impaired driving, damage to private property, a government vehicle or a vehicle transporting dangerous goods or someone is hurt, you need to call 9-1-1 immediately. However, if the combined damage is less than $2,000 and none of the above circumstances occurred, you don’t need a police report. If the collision resulted in combined damage above $2,000, you may have to report it to a Collision Reporting Center in the York Region in person. Call 1-866-876-5423 before you attend to get a report number and make the process simpler for yourself. Vaughan residents should report traffic collision at the Community Resource Center located in 10720 Yonge Street, Richmond Hill. The center is open 8:00 am to 8:00 pm Monday to Sunday. To learn more about the right Vaughan auto insurance collision center, click here. Maria Khoury faced untold difficulty after losing her 41-year-old husband, Eiwas Khoury, to cancer in June 2017. She had to sell her family’s car listed in her husband’s name but found it impossible to cancel the auto insurance policy on the car. Khoury reported that Aviva Canada kept taking the money for 16 months even after being told that Eiwas was deceased and the car was gone. The deduction continued even after Maria and her son sent a copy of Eiwas’ death certificate to the insurer. Aviva deducted up to $1,900 for a service Khoury didn’t receive on a car she didn’t own and a policy she clearly stated that she didn’t want. She said they gave her a hard time and even after calling the company’s ombudsman to refund the money, the ombudsman did not order the refund. However, the ombudsman’s office said she should get a lawyer if she is requesting a claim. The deduction persisted until a Khoury’s friend called Global News requesting for help. However, even after Khoury authorized Aviva to discuss the case with Global News, they refused to do so, citing privacy. When pressed about why it continued to make the deductions, Aviva responded that it would refund the money. Thankfully, the issue that took Khoury 16 months was resolved within 24 hours. To learn more about Vaughan auto insurance news click here.